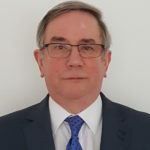 Neil Hadden entered the housing sector in 1978 and spent 27 years at the Housing Corporation, which was the industry regulator prior to the Homes and Communities Agency where he held a number positions, including serving as Deputy Chief Executive. He moved to Aldwyck Housing Association in 2005 and led the group through significant growth in his role as Chief Executive. He became Genesis’ Chief Executive in October 2009. Neil left Genesis in April 2017 upon the merger with Notting Hill. Neil is also currently Chair of Golden Lane Housing Association. 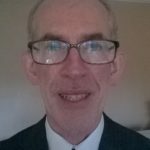 Malcolm is a finance professional with wide experience in infrastructure, property and construction. 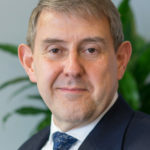 He spent over fifteen years as Group Treasurer for National Grid plc, running the very extensive funding programme which had debt of around £25bn and annual funding needs of £2bn-£3bn pa. Having retired from National Grid in 2017, he is a non-executive director at: CLS Holdings plc where Chairs the Audit Committee and is Senior Independent Director and Morgan Sindall plc where he Chairs the Audit Committee and the HSE Committee. He is also a member of the Audit Committee of Local Pensions Partnership Ltd.
Ann was the CEO of Sovereign Housing until June 2018 and lead the growth of the business from 11k to 56k homes through both merger and development. 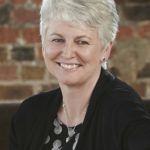 Prior to Sovereign she was CEO of the Swaythling Housing Society (now part of the Radian Group) and Development Director at the Guinness Trust. She was awarded the CBE in 2012 for services to social housing. Ann is a NED on the Board of the States of Jersey Development Company as well as Chair of the Remuneration Committee. She is also Chair of the Barnwood Trust and was previously Vice Chair of the National Housing Federation. 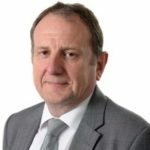 Peter joined Paragon Banking Group in September 2010 as Director of Treasury and Structured Finance and has over 30 years of experience within financial services. After completing his MBA at London Business School, he joined SG Warburg in 1986, marketing capital market products to the UK franchise. He subsequently became a Managing Director at UBS where he led its London securitisation group for 16 years. His specialism at Paragon is all aspects of funding and cash management, together with serving on the companies Executive and ALCO committees. 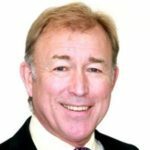 Andrew Kitchingman is Chairman of Mpac Group Board as of April 2018. He is also a member of the Audit Committee and a member of the Remuneration and Nomination Committees. 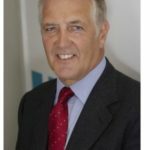 He is a non-executive director of Lonpro Holding PLC and Incommunities Group Limited, and is a director of The Cathedral Choir School Ripon Limited. He is a Fellow of the Institute of Chartered Accountants in England and Wales and formerly worked in corporate finance for a number of firms, including KPMG, Hill Samuel, Albert E Sharp and Brewin Dolphin. Andrew has joined the Board of the Andrews Sykes Group PLC as of July 2018 as a non-executive Director. Charles successfully led CIMA (Chartered Institute of Management Accountants) as Chief Executive from 2001. Achieved 90% membership support to integrate CIMA’s activities with those of the American Institute of Certified Professional Accountants in 2016, forming a $300 million organisation supporting 600,000 members globally. On formation, appointed part time chairman of the CGMA Research Foundation focused upon the issues critical to the ongoing relevance of the Management Accounting Profession facilitating good governance and decisions. Charles is also chairman of IFAC’s Professional Accountants in Business Committee and a member of the International Integrated Reporting Council. 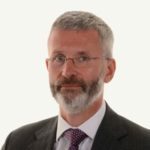 David Carton joined Legal & General Investment Management in 1981and spent 35 years as an equity and credit analyst covering a wide range of companies and sectors including the Social Housing sector. He was a member of Legal & General Investment Management’s credit rating committee for several years up to his retirement in 2016. 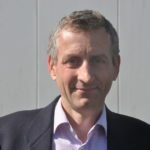 David is a member of Evolve Housing + Support’s Audit Committee and a Board member at Mount Green Housing Association. Andrew is a fellow of the Institute of Chartered Accountants in England and Wales. He has over 20 years of experience in housing as a Director of Finance, during which time he helped his group (Radian Housing) grow from 3.5k to over 23k homes. This was achieved through organic growth funded through bank debt and bond issues and through merger. Prior to this he worked in Industries including Financial Services, Construction and Property Development, after working for an international firm of chartered accountants in the UK and Africa. He is a NED at TPT Retirement Solutions, a Pension Master Trust with over 2,600 employers 300,000 members and £10bn of assets under management. 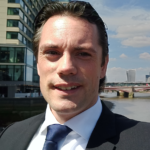 Patrick is a finance professional, originally from the private sector, with long experience in the housing sector as an exec director, NED and consultant. Patrick was most recently Executive Director at First Wessex responsible for Finance, IT, Governance and Business Transformation. Until recently he was also a Board Member and Chair of Risk at Stonewater HA. Jenny graduated from University with a 2:1 and has a recent background in property, having worked in well-known Estate Agencies in London, most recently as a Senior Lettings Consultant. Relationship Manager with a Housing Finance background. Steve was previously a Relationship Manager at THFC, managing a portfolio of 150 clients and a loan book of >£5bn. 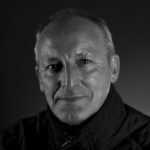 Steve has over 20 years’ experience in Corporate Banking, including managing HA and local authority lending deals.